Welcome to the 7-Day Say Goodbye to Survival Mode Challenge. Each day this week, I’ll be blogging through the 7-Day Challenge. If you’ve not signed up yet, enter your name and email in the orange sign-up box at the top of the page here and you’ll get the daily emails and challenge in your inbox. If you want to be successful at anything in life, having an accountability partner will highly motivate you and keep you inspired when you don’t want to stick with it. You can’t build good habits and discipline in life alone. Well, you can, but I guarantee you it will be a lot harder to keep at it if you don’t have anyone encouraging you along the way. Whenever I run by myself, I’ve found that I tend to go easier on myself and stop earlier than I planned. If my side starts hurting or I have a long to-do list, I use that as an excuse for a short run. However, when I run with someone else, I’m always motivated to push a little harder, go a little faster, and not give up when I feel winded and tired. It’s the same with life: when you feel like you’re going it alone, it’s harder to keep on when the going gets rough. But when you have others around you who are encouraging you, checking up on you, or texting you to make sure you’re following through with your morning run, you’re much more apt to actually stick with your goals. You might be thinking, “I wish I had an accountability partner, but I don’t even know where to find one.” Well, it might not be as hard as you think. Start with your local friends and family and see if anyone would like to join you in keeping each other accountable to one specific goal on a regular basis. If you can’t find anyone locally, ask friends on Facebook, Twitter, your blog, or other online groups you’re a part of. Or, search and see if there’s already an online support group of some sort (such as the or , if you’re working on getting up early). You can’t live a purposeful life on your own. Find a friend who is willing to keep you on task. Contact them by email or phone today and present your proposal. If they accept, schedule a start date for regular check-ins, whether online, in person, or over the phone. Share ideas on how to practically engage in an accountability relationship. No more excuses! It’s time to hold yourself accountable! Your Turn: Who is your accountability partner? If you don’t have one already, think about who you are going to ask today to become your accountability partner. We have a designated spot in our home for garage sale boxes. In our current home, this is in the garage. As I find things we no longer need or use, I start filling up a box. When one box is full, I fill up another. And so on. Instead of moving an item around from one room to the next when we aren’t using it anymore, I pitch it in the garage sale boxes and it’s out of our way. This method makes preparing for a garage sale quite simple since I already have a huge head start on collecting stuff to sell. Thinking of having a garage sale? 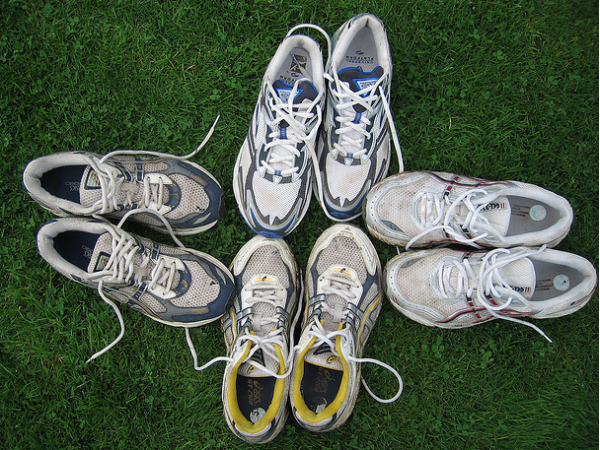 Check out my 10 tips for having a successful garage sale. Once or twice a year, I go through my home from top to bottom and am ruthless about eliminating clutter. Every nook and cranny is cleaned out and every item is evaluated. By doing this on a regular basis, no area of our home ever becomes unmanageable. Rooms or closets might be messy or unkempt at times, but they never get so overwhelming that I can’t deal with them. Except for my husband’s dresser and our laundry basket, we try to strictly adhere to a no-pile rule. I’ve found that a small pile quickly grows–without any effort. So if you don’t start a pile in the first place, you can avoid a lot of disorganization. Instead of piles of paper around from place to place until you have time to deal with them, take care of them immediately. When the mail or other papers come into our home, I go through it right then and there and throw out everything that we don’t have to keep. Bills go on my husband’s dresser, magazines go in the magazine basket, coupons go in my coupon box, and junk mail goes in the trash. Within just a few minutes, the mail is completely dealt with! I’ve found my utilitarian nature helps avoid heaps of clutter. How? Because we don’t have a lot of furniture that tends to be clutter hot-spots for others. I’ve found that when there’s no place to collect piles, you are much less apt to make them. If you feel overwhelmed with clutter, don’t panic. 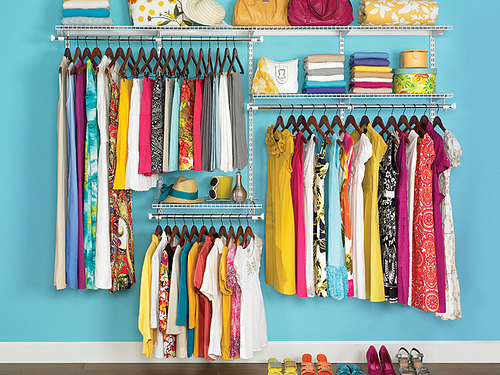 Pick one space in your home to declutter as soon as you can today. This can be a drawer, cupboard, closet, medicine cabinet, your nightstand, or if you’re feeling overly ambitious, the pantry or refrigerator. 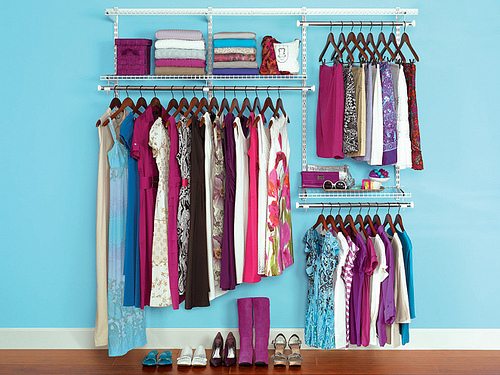 Ruthlessly clear out any and all clutter and unnecessary items you find. Consider passing on extra food and household items to friends or donating these to someone in need. Start with this one small space and I promise you will feel a sense of accomplishment right away. 1. Read Day 5 of the 7-Day Say Goodbye to Survival Mode Challenge (type in your name and email address in the orange box at the top of the page here if you haven’t signed up yet). 2. Leave a comment telling us what area of your home you are planning to tackle today for at least 15 minutes and clear out the unnecessary clutter. Remember, keep it simple and don’t bite off more than you can chew! 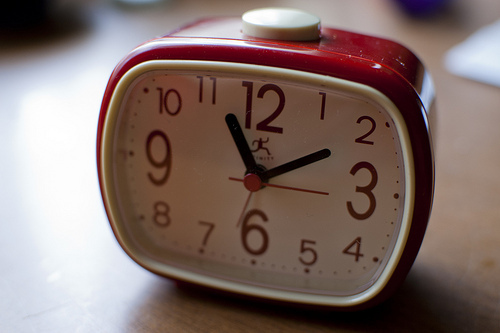 If you want to be more productive, you need to become the master of your minutes. Do you ever find yourself with short five-minute windows of time here and there? Our schedules are so jam packed, but there always seem to be those little niches of time that pop up throughout the day. Write a thank-you note or encouraging e-mail. Clean the kitchen sink or bathroom toilet. Switch a load of laundry from the washer to the dryer. Pull out dinner from the freezer. Make a healthy snack to munch on instead of grazing on high-calorie, low-nutrition foods. Take your vitamins, and drink a glass of water. Read a short story to your child. Wipe down the kitchen counters. Text your husband to tell him you love him. Read two pages of the book you’re currently reading. Pray for someone you know who is struggling or for a need in your own life. There are a thousand other ideas for how to use wisely the little slots of time that show up throughout the day. Don’t let these golden nuggets slip by unproductively! They can quickly add up in your favor. In fact, if you pay attention and make purposeful choices, you may find they add up exponentially. Look for little pockets of time throughout the day that you can use to accomplish some of the tasks above — or other small tasks. I bet you’ll find that you have at least 5-10 of these pockets throughout your day (maybe more!) and if you put them to work for you, you’ll end the day feeling much more accomplished! Your turn: Tell us 1-3 things you accomplish or plan to accomplish today in the little pockets of time. Also, if you have time, I’d love to hear what ideas you have to add to my list of things you can accomplish in a few minutes. Commit to following through with your Morning Must-Do’s every single morning for the next three weeks. You might not always hit them all each morning and, unless you live in a cave and don’t have any electronics nor interact with other human beings, I’m positive you’re going to have some interruptions. Don’t let these things throw you off track. Do the best you can do, stick with it, and keep plodding along. For more ideas and suggestions, read my series on How to Develop a Routine That Works and my post on 3 Things to Do To Have a Better Morning. Create your ideal morning routine. If you don’t have any structure in your life right now, this one action will make a big difference in how you approach each day. Take some time right now to write down the five things you need and want to do each morning. Things like exercise, read and pray, clean up the kitchen, wake and feed the kids breakfast, and prepare lunches or even dinner. Think about how much time you will realistically need. Whatever those five things are, commit to getting up and doing them first thing tomorrow and then consistently for three weeks. 1. 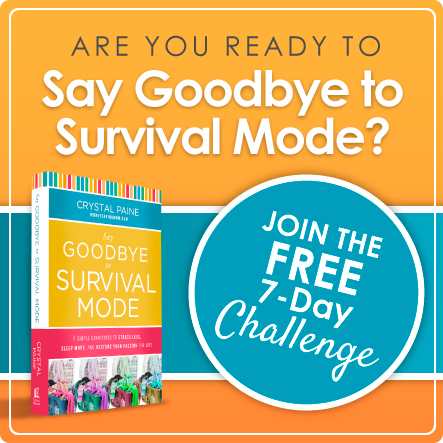 Read Day 2 of the 7-Day Say Goodbye to Survival Mode Challenge (type in your name and email address in the orange box at the top of the page here if you haven’t signed up yet). 2. Share your morning routine in the comments. Ideally, this will be a list of 5 things (or less). Commit to sticking with this morning routine as best as is possible every morning for the next three weeks. 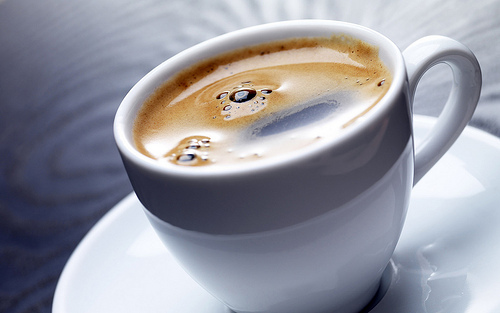 Your turn: What’s your morning routine? Share it in the comments! It’s so easy to look at other women and feel like we don’t measure up. I know this, because I’ve been so guilty of it. In fact, not too long ago, I was speaking to a group of bloggers and I confessed to them that if Pinterest had been around when I first started blogging, I probably would have been too discouraged to even try blogging. I’m just thankful to have gotten a fairly nutritious lunch on the table for my kids where they are making homemade Goldfish crackers, homemade fruit rollups, and arranging their child’s food in a way that it looks like a work of art. I’m just happy to have gotten our Christmas presents wrapped and they are making hand-stamped Christmas wrapping paper, handmade gift bows, and hand-sewn gift tags. I’m just happy to have gotten a showered, gotten dressed, and put on a little makeup while they making videos on how they do their hair in some amazingly fancy up-do, blogging about how to put together incredible designer-knock-off outfits from thrift store finds, and doing red-carpet-worthy makeup tutorials. I’m just happy to have my bed made and the house picked up and they are re-upholstering their couches, painting murals on their kid’s bedroom wall, and building custom shelves in their closets. Yes, it can be discouraging to look around (or online) and see so much talent and skill. And we can start to feel like we have nothing to offer. But that’s not true at all! My heart broke for this child. They have so much skill, so much talent, and so much creativity. But they didn’t see any of that; they only could see the one thing they couldn’t seem to do. And that’s how we are often. We focus on what we can’t do, what we’re not good at, and how we don’t measure up. All the while missing the incredible gifts and talents each of us have. This challenge is all about you. I want you take 10 minutes to brainstorm your innate gifts, talents, and abilities. Think about what really lights you up, what people rave about or what you may even take for granted because it comes so easily for you. To get your creative juices flowing, stand up and stretch or turn on some music if you like. Maybe even step outside for some fresh air. Then, set a timer for 10 minutes (I use or the timer on my phone) and write down what you like, admire, and appreciate about yourself. If you get stuck, call a family member, friend, or colleague and ask them to tell you your top three strengths. You DO have talents and gifts, you just may need a little help recognizing them. 2. Leave a comment telling us about 5 of your gifts. If you’re anything like me, this can be a hard exercise. But it’s so good and so important. You can figure out what you’re passionate about and how to use your gifts and talents in a way that blesses and impacts others if you can’t even see them in the first place! 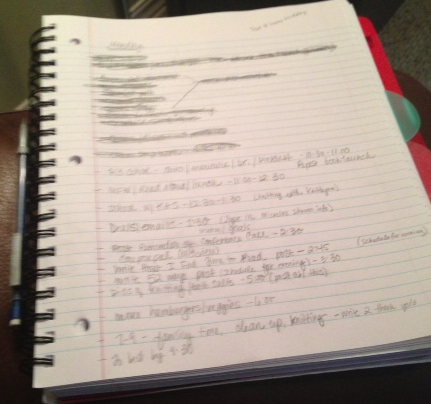 The gift of organization — I love to look at the big picture of a project and figure out the bite-sized steps one needs to take to complete that project. 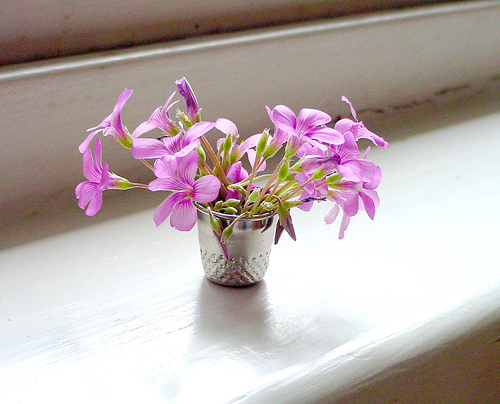 The gift of a good memory — I rarely forget things (though it does happen occasionally!) and I’ve only recently realized what a gift this is — especially because I have a lot of irons in the fire right now and a lot of details I’m overseeing as a wife, mom, and business owner. The gift of perseverance — I’m very determined and focused and don’t give up easily. The gift of encouragement — I love to be a cheerleader for others and am always looking for ways to uplift and affirm others. Your turn! What are five of your gifts? Leave a comment telling us about them! Today’s topic is a hard one. And it’s one that almost wrecked my health, marriage, and home. It’s about that little word “no”. Confession time: I want people to like me. I want people to think I have it together. I don’t like being viewed as the girl who is a mess, is always behind, and can’t ever seem to get with the program. So for years, I hid my messes and struggles. I pretended I was WonderWoman. And I said yes. A lot. Sure, I’ll help you with that project. Sure, I’ll join your group. Sure, I’ll volunteer for that. Sure, I’ll meet with you. Sure, I’ll babysit for you. And on and on it went. Until I couldn’t keep going on any longer because I was completely exhausted, utterly maxed out, and totally overwhelmed. What I didn’t seem to realize was that when I was saying yes to one thing, I was in essence saying no to something else. That something else was often sleep, my health, my marriage, my kids, and my sanity. As I chronicle in my new book, it took me hitting rock bottom before I had the wake-up call that changed my life and gave me the courage to admit I couldn’t do it all. As a result, I started saying no. A lot. At first, it was so hard for me. But I quickly realized that the world wouldn’t fall apart if I didn’t say yes to everything. Plus, I’ve found I have so much more breathing room and peace in my life as a result of saying no. This gave me more resolve to continue to say no! Don’t beat yourself up over what you’re not doing. Don’t compare yourself to other seeming “supermoms.” Don’t stress over what’s being left undone. Stick with the basics and lower your expectations. Maybe it’s not the time for tackling big projects, volunteering for ministry opportunities, or doing detailed, in-depth cleaning. If your family has clean laundry and food in their bellies, most of the other stuff can wait. Get in the habit of saying no more often than you say yes. Stop letting people manipulate you into a miserable existence. Stop doing things just because you feel obligated or because you’re afraid of what people might think of you if you don’t do them. Focus on your list of priorities. If saying no to something means your attention is drawn to what matters most—trust me, it’s a good thing. Sit down somewhere quiet and compose a to-do list for tomorrow. 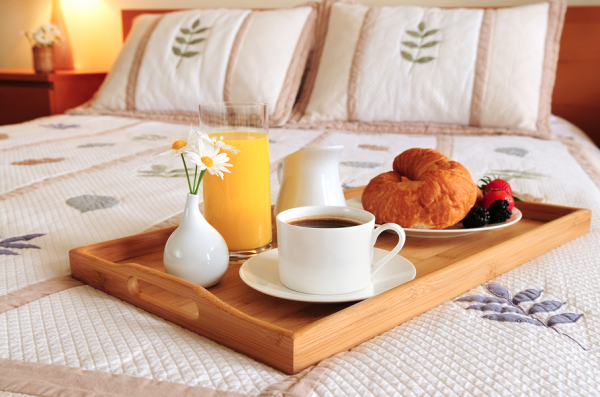 Include everything on your plate, from the moment you wake up until you go to bed. When you’re finished, force yourself to immediately eliminate three items from your list. Just cross them out. This is not a mind trick to make you feel more productive than you really are. Instead, it’s a way to help you start learning to evaluate your activities and commitments. Choose three items and get rid of them. Let them go—no justification, no guilt. Leave a comment telling me what three things you’re eliminating from your to-do list today. I can’t wait to hear — and I hope that this frees up some breathing room in your day! 1) Time-consuming dinner prep. I’m making a really simple dinner tonight — hamburgers, steamed veggies, and fruit. 2) Leaving the house. After a busy weekend, we’re staying home all day today. We find it’s so good to stay home all day at least a few days each week. And while I have some errands I was thinking of doing this afternoon, I’m going to bump them to later this week to give some breathing room for today. 3) Being on the computer after 6 p.m. I’ve been doing my best to stay off the computer in the evenings and keeping that reserved for family time, knitting, and reading. I’m committing to shut the computer off by 6 p.m. tonight — and if I have more work to do, I can save it for tomorrow.